Personal injury lawyers with an aggressive, complex trial approach. Equipped with an experienced injury law team, Davis Kelin has the resources and the experience to guide you through this difficult process and ensure that your case is successfully resolved. Ben Davis and Zackeree S. Kelin, both personal injury lawyers, partnered up with the intent of representing each client on an individual basis. We are sensitive to the fact that almost nothing compares to what you may be going through, whether you’re a victim, a family member or close friend. Dealing with a personal injury, malpractice or even a wrongful death case is arguably one of life’s most unpleasant experiences. Furthermore, litigation costs can reach into the hundreds of thousands of dollars over a just a couple of years. Many firms require upfront payment towards costs, but in most cases, Davis Kelin will cover all of the costs required to achieve a successful resolution. As an injury law firm, we have a unique process for trial preparation, throughout which, our hope is that you’ll feel empowered to take a stand, and no longer feel like the victim. Beyond compensation, we are dedicated to litigating injury cases to punish the wrongdoer, or tortfeasor, who would rather ignore these rules to benefit themselves. A large verdict also makes a clear statement, voiced by juries who wish help ensure that our society runs smoothly and fairly by deterring others from committing such acts. 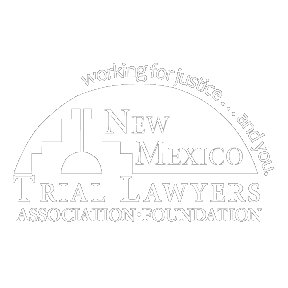 Learn how we “take the fight to them” and discover our unique process for trial preparation, our injury law firm’s case procedure and what to expect. ”After dealing with several horrible experiences with lawyers I had a legal malpractice case. I was very scared to deal with and trust yet another lawyer. Ben Davis turned out to be wonderful. He went above and beyond for me. He was a pleasure to work with and someone I felt I could finally trust. I can not recommend him enough! Click here to scroll down to practice areas.